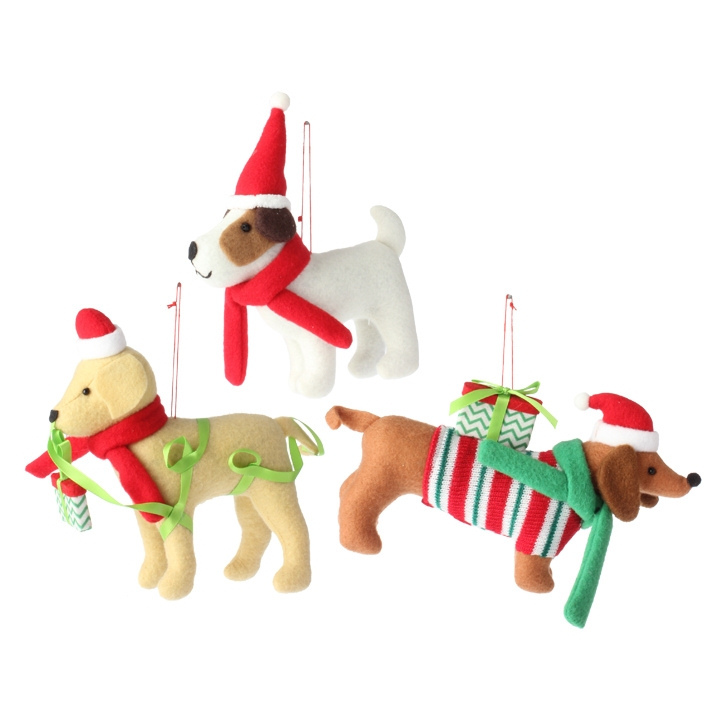 Let your beloved dog or dogs join in on the Christmas cheer this year with Plush Dog Ornaments. Three different breeds of dogs are ready to hang with the rest of the ornaments on your tree, wearing Santa hats and cute scarves and sweaters. Each one comes with a string to easily hang them up. Be the first to review “Plush Dog Ornaments” Click here to cancel reply.